WHO ARE WE? WHERE DO WE WANT TO GO? HOW WILL WE GET THERE? District 6690 is pleased to announce the launch of Club Visioning, a process that allows club members to dream about what their club could become. From this dream comes a new sense of identity, a renewed sense of commitment and a pride of ownership in helping the club reach its highest potential. Recently a group of 15 dedicated Rotarians from 14 club across the district were trained as charter members of the District Club Visioning Facilitation Team (DVF). These Rotarians spent a full day with professional trainers from the International Vision Facilitation Council to learn the skills necessary to assist clubs in establishing a shared vision of a dynamic future. District 6690 has invested significantly in the launch and deployment of Club Visioning as a service in support of our clubs. In addition, District Vision Facilitators will typically commit 25 hours of volunteer time to prepare for and conduct these sessions. Therefore, we ask for full engagement from the club board and between 15-30 members (depending on the size of the club). At the request of a motivated and prepared club, the district will dispatch a team or certified Club Visioning Facilitators. To learn more, or to start the process, please contact us. What is involved in Club Vision Facilitation? It takes about 4 hour hours, will be facilitated by a district team, typically held on a weekday evening (5-9 pm) or Saturday morning (9am-1pm), Club is responsible for booking appropriate venue as outlined by the Club Vision Facilitation guidelines and for providing a meal (typically a box lunch). The District Vision Facilitation team will provide all other needed supplies. Who should attend Club Vision Facilitation? Current board members and officers, immediate past president, two other past-presidents and other members who appropriately represent the demographic and attitudinal make up of your club. 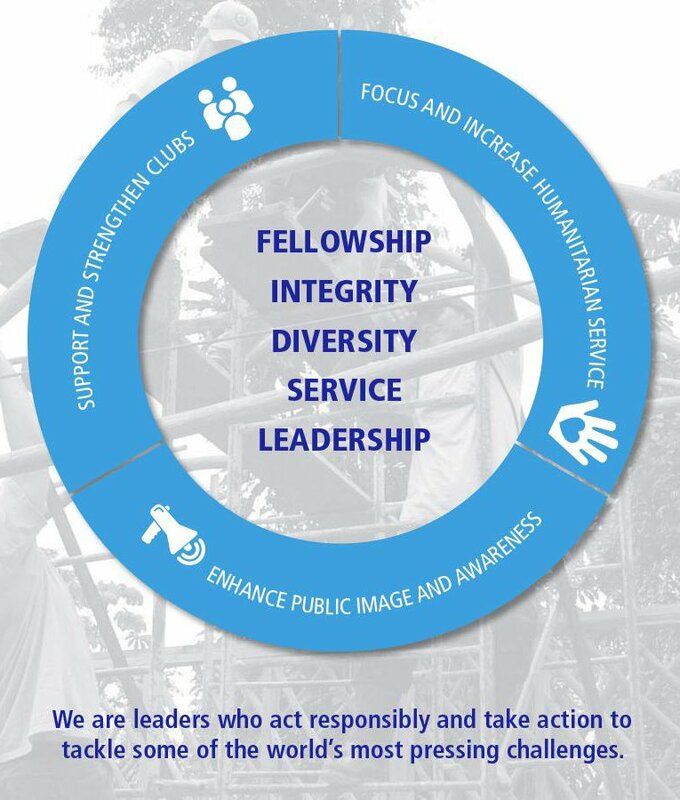 Club Visioning supports Rotary International strategic priorities to: support & strengthen clubs, focus & increase humanitarian service and enhance public image & awareness. If You Can Dream It, You Can Achieve It..